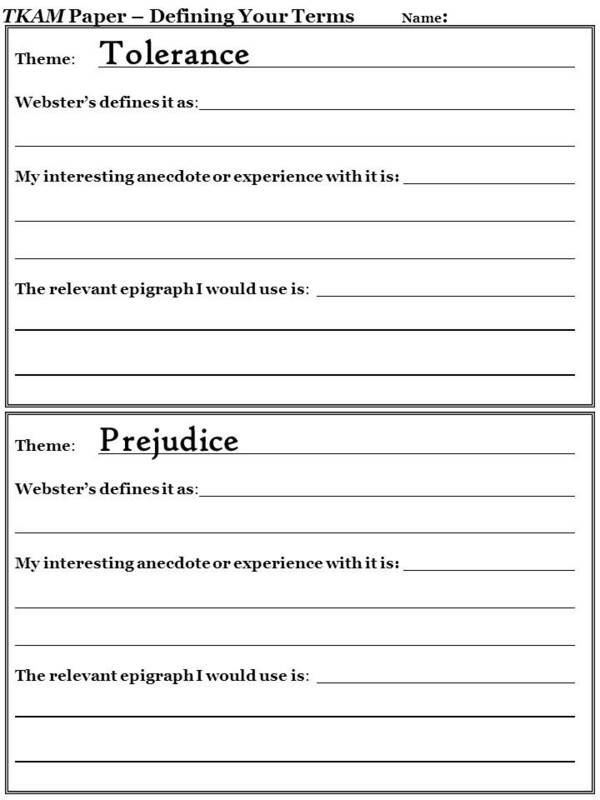 In preparation for your To Kill a Mockingbird Argument Paper answering the question What is this text about?, you will first need to complete the “Defining Your Terms” worksheet. If you need another copy, I have posted the sheet for your reference below. This process is designed to help you decide how to best answer the question. Remember that “epigraphs” are just famous quotations that help guide your paper. You can fins these at sites like brainyquote.com or quotegarden.com. This sheet is due tomorrow. The importance of family and reputation. The importance placed on social class and race in the south during the 1930s. 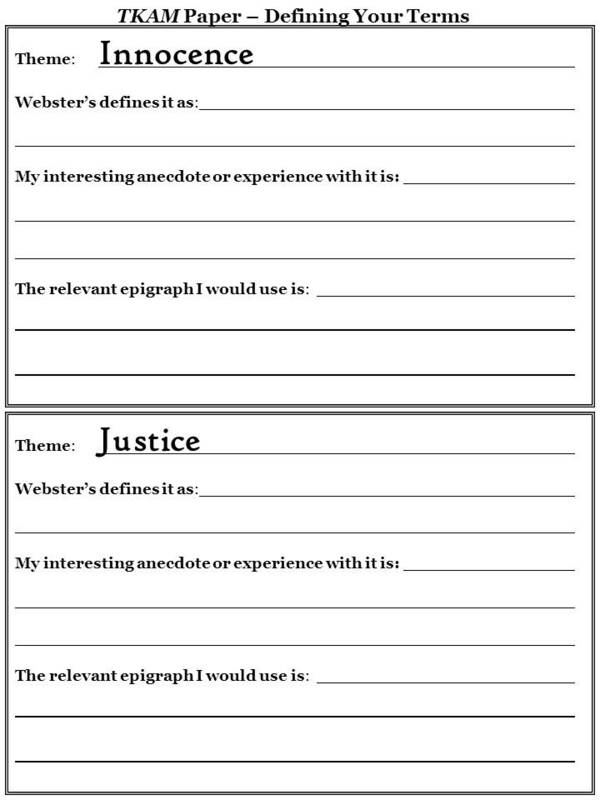 Review each of the Socratic Seminar worksheets and Quotation Collections you’ve completed as well!